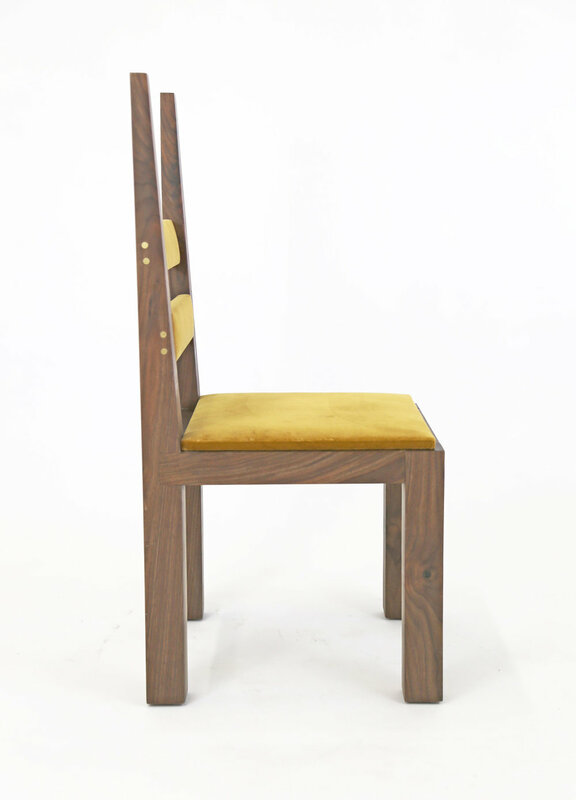 A contemporary dining chair designed and built by SENTIENT. It has both medieval and modern ideas including heavy legs and seat frame combined with the tapered, angled lines of the tall rear verticals. Dimensions: 18” w x 18” d x 38.5” h, seat height=17"